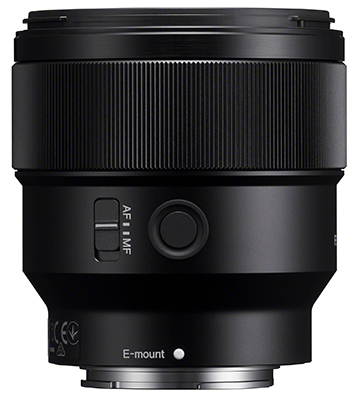 The FE 100mm F2.8[i] STF GM OSS is the first Smooth Transition Focus prime since the acclaimed A-mount 135mm and is designed for the best possible bokeh without any trace of aperture-related artefacts. The compact, lightweight FE 85mm F1.8 portrait prime lens may put an end to sales of Canon 85mm f/1.8 USM lenses mounted on FE adaptors… but at £550 and not stabilised it’s just over the typical cost of that combo, which also enables the use of other Canon lenses and of course the use of the Canon glass on native bodies. 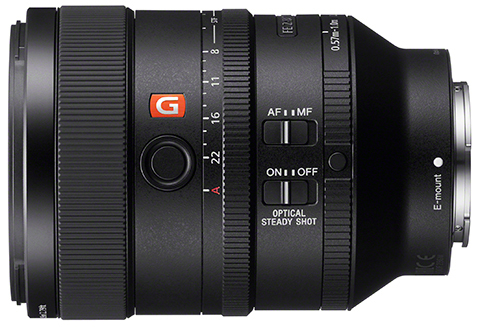 It’s a slightly disappointing lens as the 80cm close focus is no improvement over the 85mm G-Master f/1.4, and much less useful than the 85mm A-mount SAM f/2.8 which focuses to 60cm. With the 85mm such a popular choice for portraits, food photography and creative close-ups (short of the macro range) this is a missed opportunity even it is also very much an industry standard. In contrast to this the 100mm STF has an excellent close focus of 57cm and the same close-up ability as zooms like the classic ‘Beercan’ 70-210mm f/4 by Minolta, the magic ‘quarter life size’ which covers the area of a 6 x 4″ postcard print when used on full frame. 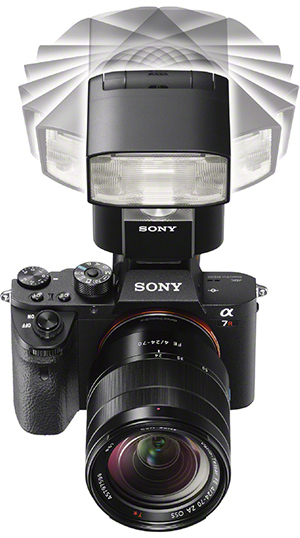 Sony also introduced a new flash HVL-F45RM with radio-controlled wireless communication ideal for off-camera multi flash TTL work with Sony’s line-up of α7 full-frame cameras. 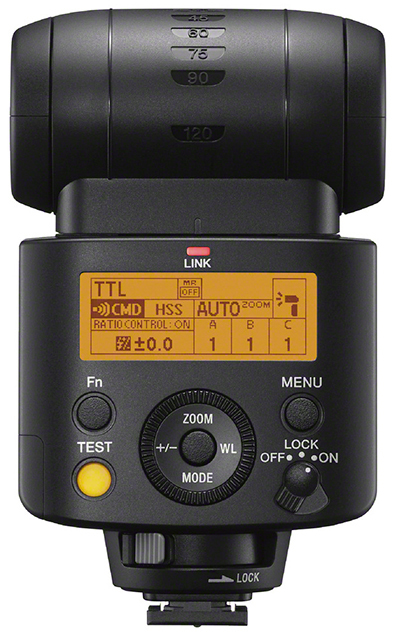 This flashgun uses the Sony Quick-Navi visual system for its rear panel – so they did learn something from the success of this in the old A700! David Kilpatrick writes: The STF function is available from full aperture (an effective T=5.6 despite the f/2.8 physical aperture) over a one-stop adjustment range to T=8. This is less than the f/4.5 to f/8 (T) range of the original STF design and indicates that a more powerful apodisation element (radial/circular graded element created by using neutral density in a double concave glass) or apodisation filter (a cheaper method using a conventional radial graduated ND filter inside the lens near the aperture position). 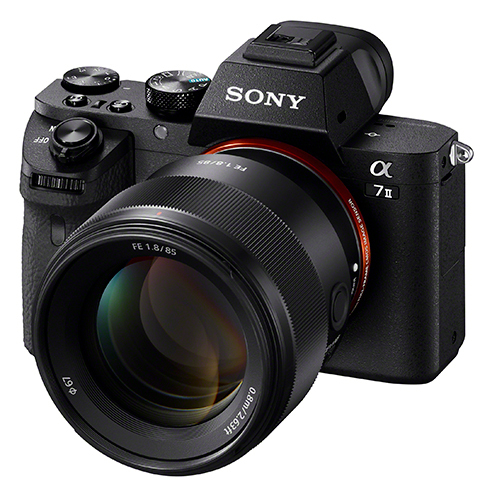 This should actually mean that f/5.6 looks smoother than f/4.5 could have. Confusing, but true. You can the depth of field of a more-or-less f/8 lens with the bokeh of an f/4. 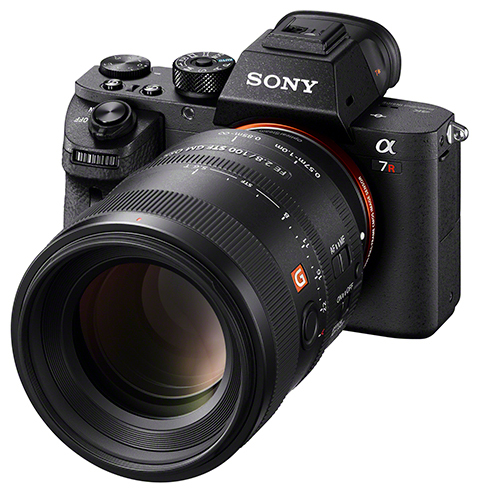 The new SEL85F18 mid-telephoto prime lens offers an extremely versatile, lightweight and compact telephoto prime lens solution for a variety of Sony camera owners ranging from working professionals to emerging enthusiasts that have stepped up to an APS-C or full-frame camera for the first time. With its wide f/1.8 aperture, it can produce impressive, exceptionally sharp portraits with soft background defocus that take advantage of its 85mm focal length and wide f/1.8 maximum aperture.